The National Audit Office said the NHS could have fended off WannaCry disruption with some simple measures. 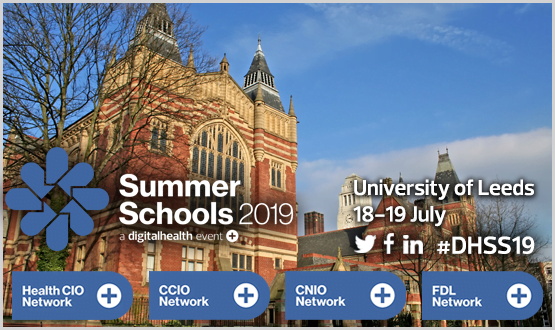 Hear from two organisations proactively helping NHS and local government organisations manage the growing cyber risk to public services and learn how their plans will affect you. 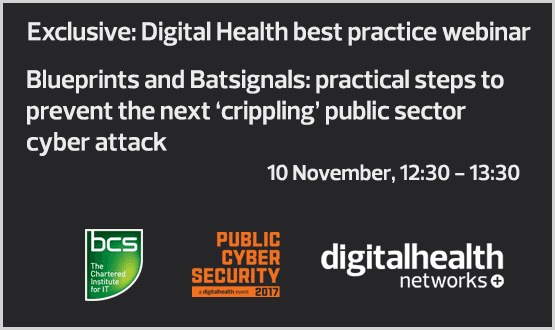 David Evans from BCS will provide an update on its Blueprint for Cyber Security in Health and Care, a response to the WannaCry attack that hit the NHS in May. This Blueprint offers professional community action on benchmarking best practice for cyber security with steps that health and social care providers should take to build professional capability and board level risk management to prevent another crippling cyber-attack. Jon Hoeksma from Digital Health will reveal how a new ‘NHS Cyber Batsignal’ has been developed to enable NHS IT leaders to issue and share cyber incident alerts that trigger dual email and text alerts, ahead of the Public Cyber Security event on 7 December at The ICC, Birmingham. Further insights on both the ‘early warning system’ developed by the leadership networks and the evolving BCS Cyber Security Blueprint will be revealed at the Public Cyber Security event on 7 December.To register for public cyber security click here. Blueprints and Batsignals practical steps to prevent the next ‘crippling’ public sector cyber attack-20171110 1228-1 from Katerina Loucka on Vimeo.